My friend who lives near New Malden came to visit me yesterday. 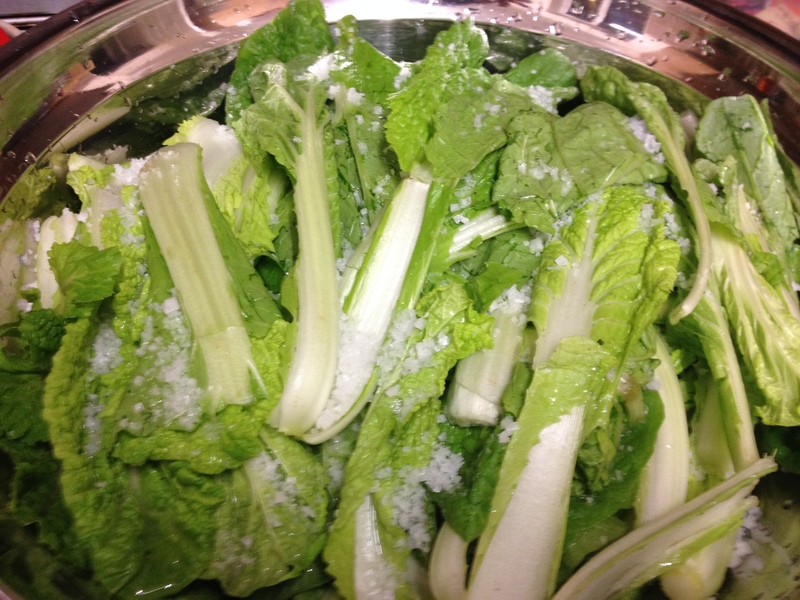 She brought me a fresh bunch of Korean spring cabbage from a Korean shop in New Malden. 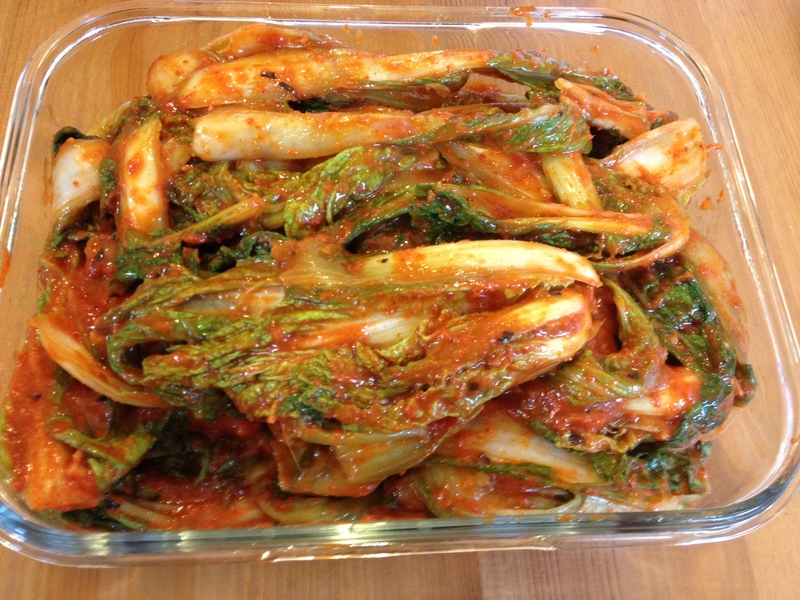 Korean Spring cabbage is called ‘Erl-ga-ri’ and it is perfect for making a quick kimchi. 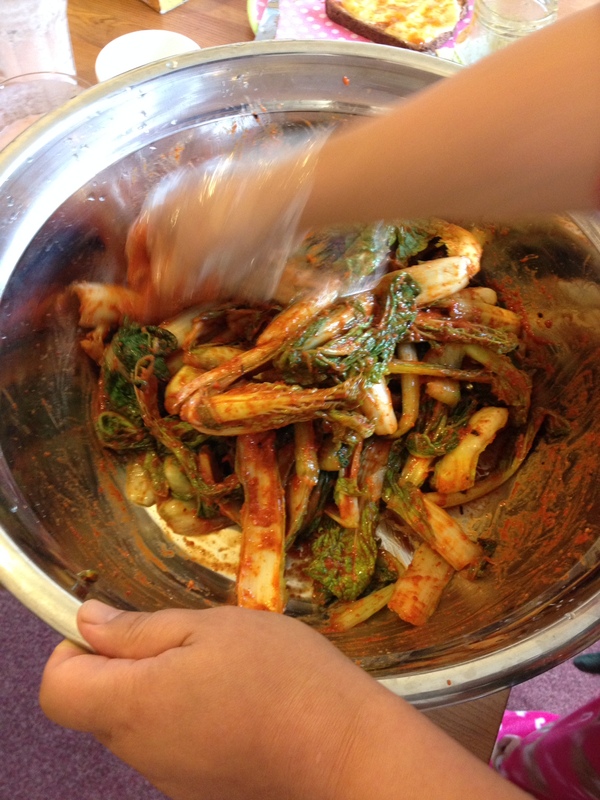 When I finish making a tub of kimchi, I feel that I don’t envy anyone in the world!